Building Programming – the “whole building design” approach is used to create a successful high-performance building. 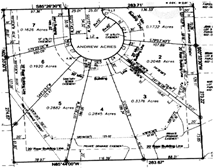 This begins with involvement of all interested parties in the definition of the scopes of work prior to the design effort and places emphasis on gathering and analyzing data early in the process so that the design is based upon sound decisions. The owner, building occupants, and operation and maintenance personnel are involved to contribute their understanding of how the building and its systems will work for them once they occupy it. The fundamental concept of building programming is to understand that all building systems are interdependent. Design Development – services in which the design moves from the schematic phase to the contract document phase. In this phase we prepare construction drawings and other presentation documents to crystallize the design concept and describe it in terms of architectural, electrical, mechanical and structural systems. In addition, we also prepare a statement of the probable project cost. Interior Design Services – these services include designing of interior layouts and selection of interior finishes. 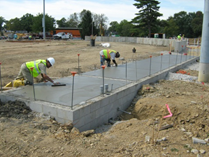 CM-GC provides general contracting services for lump-sum and guaranteed-maximum-price projects. We work with subcontractors and suppliers on a regional level to ensure high levels of supply chain management. 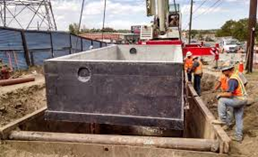 We consistently strive to receive the most competitive pricing from subcontractors and vendors for our projects. 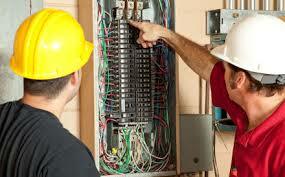 We have a expansive database of subcontractors and suppliers. 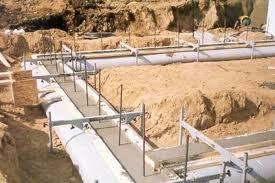 Advantages of this method of project delivery include an earlier commitment to cost and a shortened delivery schedule. With CM-GC as your single point of responsibility, we overlap the project’s design and construction phases. In the design phase, previous value analysis/value engineering lessons are shared, and design and constructability reviews are conducted to identify issues and mitigate risk. We use a creative, collaborative team solution, working with the architects, engineers and contractors to deliver innovative, cost-efficient projects on time. A client may decide to use this method based on a “fast track” usage of a facility. CM-GC provides residential, commercial and industrial demolition and dismantling services to the public and private sectors. 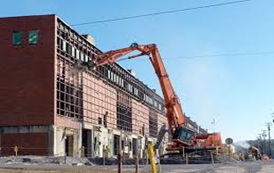 Our company leadership has decades of experience in all phases and types of demolition including interior demolition and demolition inside of operating plants and facilities. Partnering approach specifically designed to achieve measurable success. 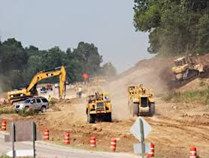 Careful front end engineering evaluation and review of all objectives, requirements, systems, equipment and people affected by the construction activities. Site master planning solutions to address people and material flows. Full consultation, planning, and a partnering relationship with a focus on sustainability to assure that your building precisely meets all your requirements. Value engineering – a value-to-cost, multi-discipline approach to identifying more cost effective alternatives to meet the affordable capital limits. Services and support from pre-construction and construction qualification (CQ), through project close out. A flexible working relationship in which we can provide total single-source responsibility. Well-defined processes and methodologies internally developed and continuously improved, tailored to meet the customer’s requirements. Commitment to on-time and on-budget delivery of services. CM-GC is passionately committed to the success of our clients. We value our client’s assets as if they were our own and view facilities maintenance as a vital component of our clients’ employee relations and customer service programs. Throughout our history, we have delivered a wide variety of projects as Facility Managers operating, managing and improving the efficiency and appearance of properties. CM-GC keeps abreast of current trends in green and solar energy by best practice methods with industry leaders throughout the world. In our constant quest for efficient operation of facilities, we always make “green energy” recommendations that will help preserve energy and reduce operating costs. Our commitment is to increasingly raise the bar of excellence and to always showcase state-of-the-art first class facilities for our clients, their employees, tenants, taxpayers and visitors.